Now never get bored with this Rubik's® 9-Panel Full Stock Cube. This is a standard Rubik’s® Cube toy. Imprint Area : 0.5" sq. 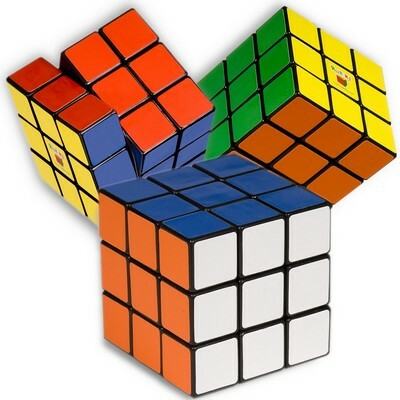 Now never get bored with this Rubik's® 9-Panel Full Stock Cube. This is a standard Rubik’s® Cube toy. This Cube comes in many colors: yellow, blue, red, green, orange, and white. It is made from 100% recycled plastic. Plastic comprises approximately 90% of each piece. Your logo can be imprinted on this product to help promote your brand better. White Panel On Each Of Nine Tiles Or 2" Sq. Yellow Panel On Each Of Nine Tiles Or 2" Sq.